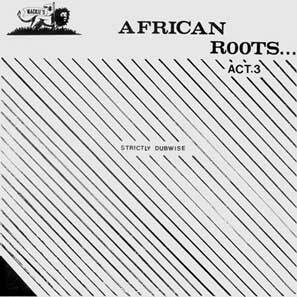 Originally issued in 1983, African Roots Act 3 is basically the dub counterpart of Sugar Minott's Wicked Ago Feel It album (out 08/02 in Rhythm & Sound's Bullwackies reissue programme). 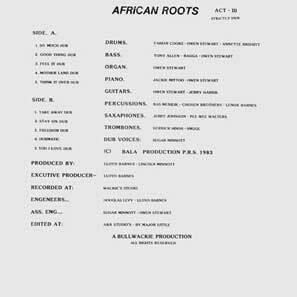 Lloyd Barnes' key collaborators here are Sugar and Jackie Mittoo, with the core of his studio musicians drawn from the group Itopia. Subdued and hypnotic, musically more sparse than its predecessor, Act 3 offers the same trademark combination of Wackie's originals and classic Studio One rhythms, nodding again to The Heptones (I Hold The Handle, Love Me Always). Worth buying for the version of Real Rock alone.